Hospital Marketing: You Have a New CEO… Now What? When an outgoing, gregarious new leader arrives in town as your hospital’s new CEO, it can be an exciting process to help them find acceptance in the community. Some hospital CEO’s are from an accounting background and prefer to concentrate their efforts internally, but an outgoing personality who wants to be visibly active in the community can be an asset for a hospital. 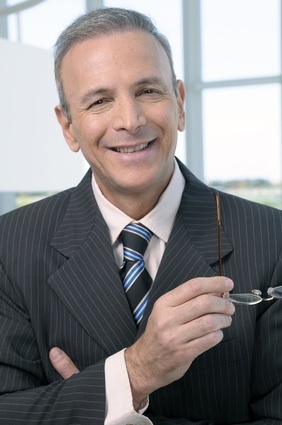 The CEO is more than an internal leader but an external one as well and when he or she has an effective relationship with the community, this can prove beneficial for the hospital during emergency situations, legal issues, expansion plans, requests from the community, and of course from an imaging stand point. But what to do when the new leader arrives? The expected introductions to the hospital’s board and employees and the usual press releases and Chamber of Commerce events are certainly in order. Consider Twitter updates (Can be sent from a another leader in the community if your hospital isn’t yet tweeting but another reason we should be building our Twitter followers) with links to your hospital’s website for more info on the just-arrived CEO. Other social media should be considered such as Facebook ads targeted to your market, and possibly a live video feed question and answer via Facebook. YouTube videos of interviews or snippets “into the life” of the new leader and perhaps his family can also help build a relationship with the community. Healthcare related fundraisers such as ones hosted for the American Heart Association, Relay for Life for the American Cancer Society, or Diabetes Walks all offer an important opportunity for the new CEO. This kind of personality can make inroads quickly in a community by supporting and attending arts organizations, fundraisers and gala events. Often times smaller, more intimate settings and events should be considered as they offer the new leader more quality one-on-one time with community leaders. Gala fundraisers for local arts groups like the local museum of art, symphony, community theater or dance organizations. Community-supported events hosted by organizations such as the Botanical Gardens, Land Trusts, Green Initiatives or outdoor enthusiast events like bike clubs and hiking clubs. Civic groups like Rotary Club. Lions Club, Jaycees or Jr League provide opportunities to network and show support for the community. In smaller markets, involvement in high school sports and band booster clubs provide opportunities to meet families that are very active in the community. Getting to know the community and making an impact through actual involvement can open doors quickly for a CEO who is so inclined. Converting marketing dollars to community event sponsorships can raise the profile of your new CEO as well as elevate the reputation of the hospital. This can prove beneficial the next time the hospital needs the community’s or local political leaders’ assistance.